The Swiss Federal Constitution grants both federal government and the cantons the power to levy direct taxes. Federal income tax and corporate income tax is levied in accordance with the Federal Income Tax Act (FITA) of 14 December 1990; the cantons enact their own laws concerning cantonal income tax, wealth tax, corporate income tax and capital tax, but these laws must conform to the Federal Tax Harmonisation Act of 14 December 1990. Taxes are levied by the Federal Tax Administration and the cantonal tax authorities. the disproportion between the consideration and counter-payment would have been clear to the company. If these conditions are met, the tax authorities will decide that harmful profit shifting has occurred; there is no need to prove that the parties sought to evade paying taxes. Switzerland does not have a specific piece of legislation defining and addressing transfer pricing. However, certain4 Swiss federal and cantonal tax laws address related issues, such as the arm's-length principle and hidden equity. The legal basis for transfer price adjustment is contained in laws governing income tax and corporate income tax, withholding tax, stamp duty and value added tax (VAT). foundations and associations where there exists a particularly close economic, contractual or personal relationship. Pension schemes are not regarded as concerning closely related persons. Article 58 FITA forbids the deduction of unjustified expenses, meaning that all dealings with shareholders and related parties must be conducted at arm's length. The shareholder will also be subject to income tax on any constructive dividends. Further, if the company is found to have distributed constructive dividends, these dividends will be subject to withholding tax of 35 per cent (in accordance with Article 4 Section 1, Letter (b) of the Withholding Tax Act of 13 October 1965). In the event of a hidden capital contribution, the capital contribution will be subject to stamp duty tax of 1 per cent (Article 5, Section 2, Letter (a) of the Stamp Tax Act of 27 June 1973). There is no explicit list of documents concerning transfer pricing that must be included in the tax filing. However, tax authorities may dispute certain transfer prices, and the taxpayer must be able to provide commercial justification for all transfer prices. Since 1 December 2017, Swiss tax law requires multinational companies to submit a country-by-country report that complies with the requirements of Annex III to Chapter V of the OECD Transfer Pricing Guidelines. These will not be published and there is no initiative from lawmakers suggesting future publication. Tax returns must be filed in one of the official languages of Switzerland. Switzerland relies on the OECD Transfer Pricing Guidelines concerning pricing methods. Taxpayers may select the appropriate OECD complaint pricing method to determine the arm's-length price. These include traditional transaction methods, such as the comparable uncontrolled price method, the resale price method and the cost-plus method. Also acceptable are transaction profit methods, such as the transaction net margin method and profit split method. The global formulary apportionment method is not considered OECD-compliant. The cantonal tax authorities are responsible for assessing direct federal and cantonal taxes and the Federal Tax Administration plays a supervisory role. Further, tax authorities may audit taxpayers. Accordingly, taxpayers should retain all documents necessary to prove that transfer prices were made in accordance with the arm's-length principle. The burden of proof rests on the taxpayer to prove that expenses were justified, and the tax authorities must offer proof for adjustments that increase the taxpayer's taxable income. In recent years, there has been an increase in the number of audits performed by Swiss tax authorities. Decisions may be challenged before cantonal courts (for decisions made by cantonal authorities) and the Swiss Federal Administrative Court (for decisions made by federal tax authorities). Decisions can be appealed to the Swiss Federal Supreme Court. Swiss tax legislation does not contain specific provisions relating to transfer pricing of intangible assets or hard-to-value intangible assets. Switzerland follows the OECD Guidelines for transactions involving intangible assets. Advance tax rulings are common. Taxpayers may request advance rulings from the Swiss tax authorities to learn how they will be subject to Swiss tax law and how much they will own in Swiss taxes. The system of advance rulings reduces the number of tax-related disputes that are litigated before the courts. Advance pricing agreements (unilateral, bilateral and multilateral), mutual agreement procedures and international arbitration may be used in an international dispute. The Swiss tax authorities do not usually perform transfer pricing investigations. However, based on the ordinary taxation procedure, the assessment authorities shall review the taxpayer declaration and carry out the necessary investigations (Article 130, Paragraph 1 FITA). In particular, the Swiss tax authorities are allowed to review information submitted by the taxpayer under its yearly tax return and request additional information. This is related to the Swiss tax authorities' obligation to determine all the relevant facts to assess the taxation and to take into consideration only facts they consider as proven. Swiss taxpayers submit tax returns on a self-assessment basis. In this respect, the Swiss tax authorities can also consider that the tax return is complete and that no further investigation is necessary. Investigations are, therefore, not automatic, including for transfer pricing issues. Swiss tax authorities can open an investigation following submission of the tax return for the relevant tax period. The time limit for tax authorities to proceed with investigations depends on the tax concerned. For corporate income tax, this right is generally limited to 10 years and can be extended by up to 15 years by the tax authorities after the close of the relevant tax period. Indeed, the 10-year statute of limitation can be interrupted by various official acts, such as an appeal, complaint or revision proceedings (Article 120, Paragraph 2 FITA). This includes any official communications from the tax authorities to the taxpayer that aims at interrupting the statute of limitation. In practice, a simple letter announcing the interruption is generally considered as sufficient, even in cases where a tax assessment is not yet issued. For withholding tax, this right is generally limited to five years after the end of the calendar year in which the tax claim arose. Unlike corporate income tax, there is no absolute statute of limitation. 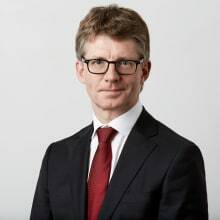 As a result, the tax authorities can interrupt the five-year period by official communications without limitation, unless they act against the general principle of good faith. Taxpayers can adjust their tax return, once submitted, as long as the tax authorities have not issued a final tax assessment. After receiving the final tax assessment, taxpayers can lodge a written protest against the assessment notice with the assessment authority within 30 days. If the protest is brought against a tax notice that sets forth extensive grounds, the protest may, with the consent of the appellant and the other petitioners, be referred directly as an appeal to the Cantonal Tax Appeals Commission (Article 132, Paragraph 2 FITA). After receiving a written protest, tax authorities may proceed with new tax assessments and may adjust their first decision in favour or in disfavour of the taxpayer. Once the protestation decision (a second decision taken by the tax authorities after the first tax assessment) is notified to the taxpayer, the latter has 30 days to lodge an appeal against this decision to the Cantonal Tax Appeals Commission. From a procedural perspective, the general limitation period of 10 years after the close of the relevant tax period can be extended to 15 years for corporate income tax purposes, following an official act that interrupted the statute of limitation. For withholding tax purposes, the general limitation period of five years after the end of the calendar year in which the tax claim arose does not suffer any limitation if officially interrupted. A final tax decision can also be revised in favour of the taxpayer, provided certain conditions are fulfilled (e.g., significant facts or decisive evidence is discovered (Article 147, Paragraph 1 FITA)). 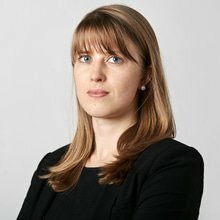 This procedure must, however, be filed either within 90 days after discovery of such grounds for revision or, at the latest, 10 years after notification of the final tax decision (Article 148 FITA). Upon submission of their tax return, taxpayers can generally expect to receive a final tax decision from the tax authorities within one to two years. This timeline mostly depends on the tax authorities' requests for information and the taxpayers' cooperation with tax assessment decisions. If the taxpayer does not agree to the specified taxation and lodges a written appeal with the tax authorities, this procedure can take up to an additional two years. A later appeal to the Cantonal Tax Appeals Commission is generally subject to the same waiting period. As a result, after receipt of the first tax decision from the tax authorities, a procedural process with the Federal Supreme Court generally lasts from six to eight years. The initial process before the tax authorities (submission of the tax return and written protest to the same tax authorities) generally allows taxpayers to disclose all relevant facts and evidence. Even once the procedure goes before the Cantonal Tax Appeals Commission, new evidence is still acceptable as the commission has powers to review all facts and the law (Article 142, Paragraph 4 FITA). Any other higher jurisdiction where an appeal is lodged (a superior cantonal court or the Federal Supreme Court) is, however, restricted in its power to review the facts. Recent cases law involving transfer pricing issues are quite rare in Switzerland. As of tax year 2016, one main relevant judgment has been rendered by the Swiss Federal Supreme Court. Federal Supreme Court, 13 February 2017 (2C 411/2016). This decision was rendered based on international administrative assistance in tax matters, and discussed the concept of relevant information to be provided in view of transfer pricing issues. It has been confirmed that information on affiliated entities, in particular profits of each group entity, could be considered as relevant to review transfer of profits in a group structure and therefore, could be disclosed to another country. Provided a non-arm's-length transaction is considered by the tax authorities, such as a hidden dividend distribution or interests received against a loan considered as insufficient, a Swiss withholding tax of 35 per cent may be levied. Secondary adjustments (e.g., transfer of an amount representing the adjustment to its foreign parent) are also subject to this 35 per cent withholding tax (or 54 per cent if not paid directly by the transaction's beneficiary) provided is has not been agreed in a mutual agreement procedure. A partial or full reimbursement of the withholding tax withheld may be claimed in accordance with double tax treaties and Swiss internal law. Late interest fees of 5 per cent may also be applicable without a possibility to claim full or partial reimbursement. Under the ordinary tax procedure and provided a non-arm's-length transaction is considered by the tax authorities, penalties do not generally apply in practice and late interests fees are privileged. However, penalties may occur, in particular where tax fraud is considered. Penalties are generally assessed in view of the taxpayer's fault. It can be challenged during the administrative or criminal procedure by giving relevant evidence or facts, or during later legal proceedings in front of the Swiss courts up to the Swiss Federal Supreme Court. Under Swiss tax law, there is no specific regulation about transfer pricing issues. Tax authorities should, however, follow OECD Transfer Pricing Guidelines as disclosed under Circular No. 4 of the Swiss Federal Tax Administration, dated 1997, revised in 2004. This Circular provides a general application of the arm's-length principle to determinate taxable income of service companies. Those generally applicable principles have not been supplemented by any other regulations. Switzerland concluded double taxation treaties with numerous countries. If double taxation occurs with a country Switzerland signed a double taxation treaty with or if there is a risk of double taxation occurring, Swiss resident taxpayers, both individuals and corporations, can ask the Federal Department of Finance in Bern to initiate a mutual agreement procedure. In accordance with the OECD Model Tax Convention on Income and Capital, taxpayers can initiate a mutual agreement procedure within three years of the first notification of the action resulting in double taxation. Most double taxation treaties concluded with Switzerland provide this three-year time limit, but each double taxation treaty must first be reviewed. An arbitration procedure is also available under a number of double taxation treaties concluded with Switzerland. In general and in contradiction with mutual agreement procedures, taxpayers can only file a request for arbitration with one of the competent authorities, for example, if an agreement has not been reached after two years (Article 25, Paragraph 5 OECD Model Tax Convention on Income and Capital). To avoid double taxation, taxpayers can also request a ruling with the Swiss tax authorities before a transfer pricing transaction occurs. Swiss taxpayers generally choose this route; however, provided a foreign country decides to adjust a transfer pricing transaction, double taxation may still occur. In this respect, advance pricing agreements can also be chosen by Swiss taxpayers to confirm the tax treatment under the relevant double tax treaty, and obtain an agreement between Swiss tax authorities and foreign tax authorities. Even if transfer pricing adjustments are generally analysed from an income tax and withholding tax perspective, VAT consequences need to be considered. Under the Swiss Federal VAT Act, the arm's-length principle also applies for transactions between parties considered as related. Consequently, an adjustment required by the tax authorities may have an impact on the tax levied. Penalties and interests may also apply if an adjustment is discovered during an audit. Switzerland does not have any specific transfer pricing legislation and there is currently no indication that it will in the near future; however, Swiss authorities, including both the administration and the courts, are increasingly influenced by OECD, which includes, as mentioned, the BEPS project. This means that any taxpayer active in Switzerland should remain extremely cautious when dealing with transfer pricing issues and should always take into account the OECD Transfer Pricing Guidelines. 1 Jean-Blaise Eckert is a partner and Jenny Benoit-Gonin is an associate at Lenz & Staehelin. 2 Letter of 4 March 1997. 3 ATF 115 Ib 274, consid. 9b. 4 E.g., Article 58 FITA and Article 24 the Federal Tax Harmonisation Act. 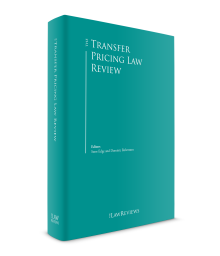 8 Greter M, Häni M, Streule F et al, 'Transfer pricing in Switzerland: overview' (Practical Law, 1 April 2017) https://uk.practicallaw.thomsonreuters.com/w-007-3885?transitionType=Default&contextData=(sc.Default)&firstPage=true&bhcp=1, accessed 27 April 2018.